BOULDER, Colo. - No charges will be filed against a Boulder man who shot and killed a University of Colorado student who broke into his house. District Attorney Stan Garnett said Wednesday the homeowner acted in self-defense when he shot 19-year-old Robert Zamora on May 4, reports CBS Denver. Garnett said the shooting falls under the state's "Make My Day" law which, he says, "permits you to use deadly force against an intruder who enters your house without consent and who appears to be going to use force against anyone else." Police say Zamora banged on a window at a home where a man and a woman were watching television. The homeowner says he retrieved his handgun before Zamora came around to the front of the house, shattered a glass storm door and burst inside. Police say Zamora then attacked the resident and they began fighting on the floor. The resident shot Zamora once in the chest, saying he feared for his life. 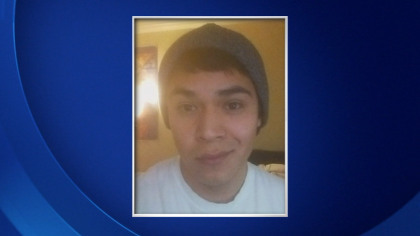 Authorities believe Zamora was on drugs at the time, specifically "psychedelic" mushrooms. A toxicology test is pending. Garnett said the case is not so unusual for Boulder. In fact, he says people under the influence of drugs or alcohol mistakenly wander into other people's homes in Boulder 10 times a month, reports CBS Denver.